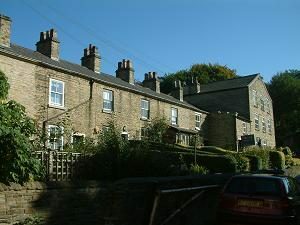 A delightful terrace of stone cottages standing at right angles to High Street. There is a small mill at the far end. The other face of these cottages is in Watson’s Yard (below). Nearest pub – Spinner’s Arms. The other face of the cottages is Watson’s Yard (left, looking towards High Street). Watson had a shop on High Street selling general provisions. 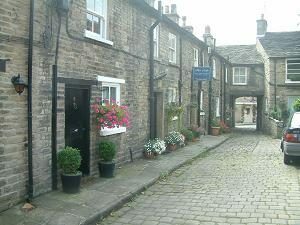 This street is in the Bollington Conservation Area. All properties are subject to Article 4 Direction.